Yet another month goes by on the calendar. A relatively quiet month when it comes to events because most of us are in the middle of exams or getting ready to depart for Greece/Cyprus! Keep an eye out on the blog the next few weeks – we have some exciting articles being launched this month that will help you get ready for your summer holiday! 9 June: PHYC Winter Drive – They are collecting old warm clothes to donate to individuals in need. For more information and drop off details: Go to NAHYSOSA PHYC’s Facebook page. 1 July: This is the last day to donate to the UJHA Shoe for You Drive. They are collecting old shoes to donate to those in need. For more information and drop off details: Go to NAHYSOSA UJHA’s Facebook page. Look after yourself and SLEEP! Although we are extremely quiet on the NAHYSOSA side this month, we assure you we are working very very hard for events in the upcoming months. We have a very exciting event being launched soon and we can’t wait! 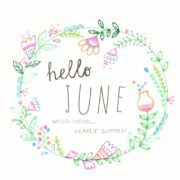 Happy June & Good Luck!